A New Facebook Page by me: Here I am collecting Christmas pictures, recipes, menus, traditions ... all on the Amalfi Coast, in Sorrento and Capri. Dive into a unique experience.. Christmas on the most beautiful coast of the world .. 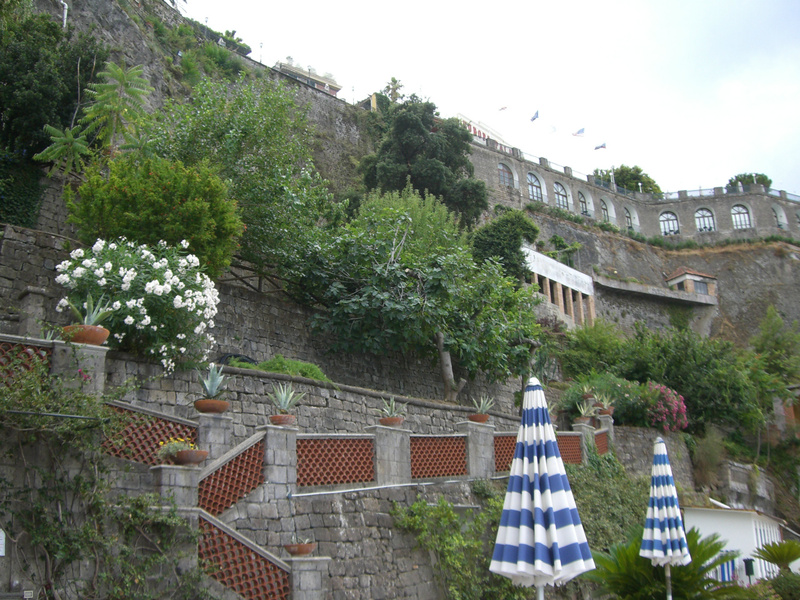 Here you can see an example of how the steep tuffstone cliffs are adorned with trees, shrubs and flowers. White and pink oleanders lign the niches and pockets where soil permits them to grow .. 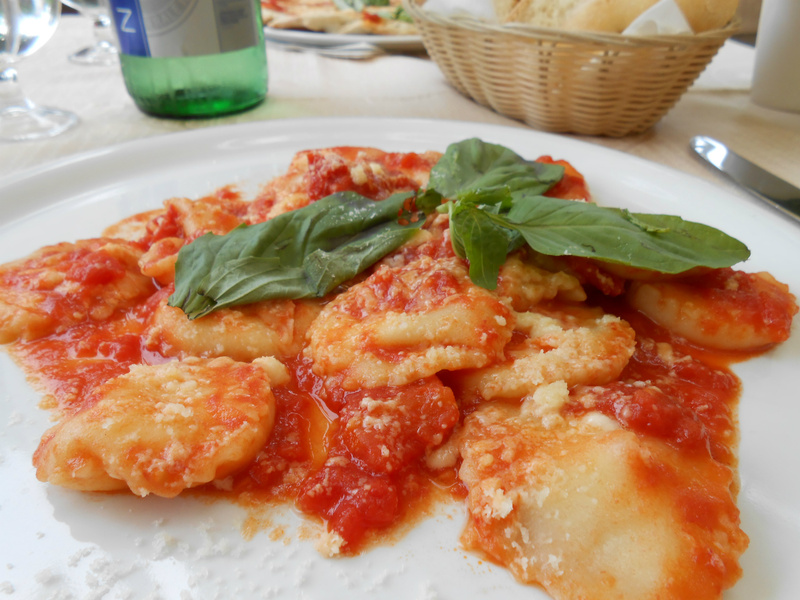 The typical ravioli variant you can savor in Capri is filled with herbs and soft cheese, tucked into a sugo di pomodoro - tomato sugo. 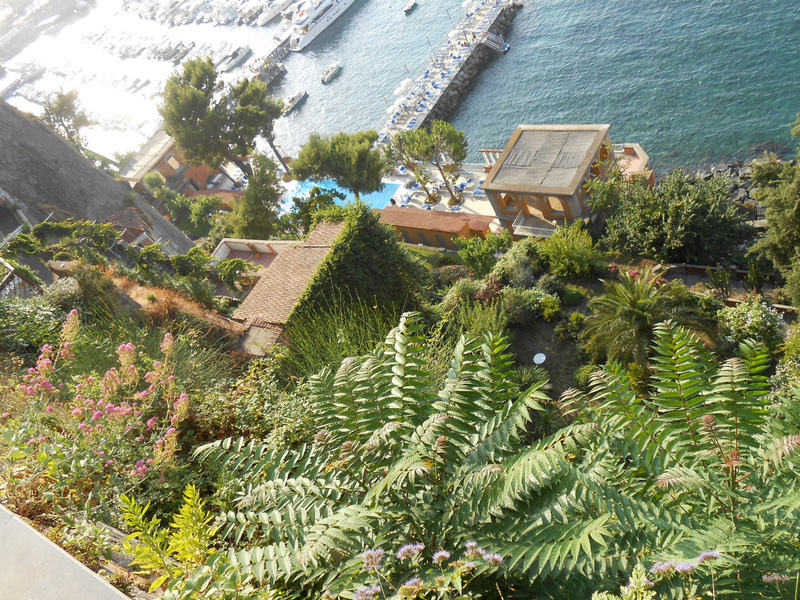 Discover the three kinds of beaches in Sorrento, read more at my Blog "Secret Costiera". Il lecceto in spiaggia- a wood on the beach ?? Framed in by oleanders, a real little wood has been created, almost at water level, in Sorrento. Discover more about that and what kinds of beaches Sorrento offers, in an upcoming blogpost at my Website "Secret Costiera".